When Vitalis Extraction Technology began making cannabis extraction machines in 2016, the expectation was that they’d build one supercritical CO2 machine a month. Two years on, the Kelowna, B.C.-based manufacturer, is churning out an average of two machines a week, according to Pete Patterson, Vitalis’ co-founder and chief operating officer. The number of Vitalis employees has grown from four to more than 50, and could jump to 75 by Christmas, Mr. Patterson added. Quadron Cannatech Corp., Vancouver, B.C. Pure Extraction Ltd., Vancouver, B.C. Vitalis and Advanced Extraction, in particular, have focused on larger, industrial-grade systems demanded by Canada’s rapidly expanding licensed producers. “When we started designing and building these larger machines, people said with a 45 litre extraction vessel, that’s too big, the market is not going to need that,” said Mr. Patterson. Changing market dynamics have proved otherwise. Vitalis’ most popular machine last year was its 90 litre Q-series, comprised of two 45 litre extraction vessels, which, together, are capable of processing 75 to 175 pounds of dried flower or trim per day. This year the company’s best selling machine is the 200 litre R series, with two 100 litre vessels able to process 175 to 240 pounds per day, Mr. Patterson said. A 2 X 15 litre system, “can process approximately 19,000 pounds a year of dried plant material,” according to Mr. Campbell. A 4 X 100 litre system “can do 325,000 pounds of plant material a year." Along with larger machines, buyers are demanding more complex systems able to meet rigorous quality control standards. That means software that is CGMP-compliant (Current Good Manufacturing Practice). It also means adding real-time monitoring to the extraction systems using high-pressure liquid chromatography, “so we can optimize their extraction curve,” Mr. Campbell said. To try to get ahead of competitors, Advanced Extraction is also selling equipment for pre-extraction milling – “it’s very important to get correct particle size for optimum extraction,” said Mr. Campbell – as well as post-extraction distillation, to increase the cannabinoid concentration in the oil. Companies such as Vitalis and Advanced aren’t just competing with supercritical CO2 machine manufacturers from the United States. They’re also competing against butane and ethanol extraction systems, which are often more efficient, but produce lower-grade oil that requires further purification. 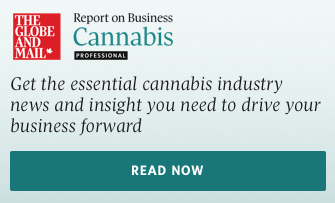 Editor’s note: (Oct. 2, 2018) An earlier version of this article incorrectly said Aurora Cannabis purchased Radient Technologies. In fact, Aurora owns about 17 per cent of Radient.